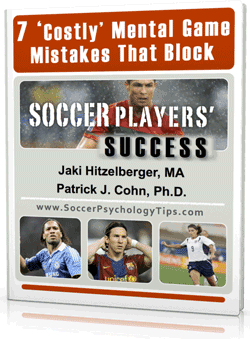 You are here: Home / Soccer Psychology Tips and Strategies / Messi and Ronaldo: How Do They Stay Confident? Messi and Ronaldo: How Do They Stay Confident? Messsi and Ronaldo are arguably the most compared soccer players. Fans take sides and argue about who is the best in the world. 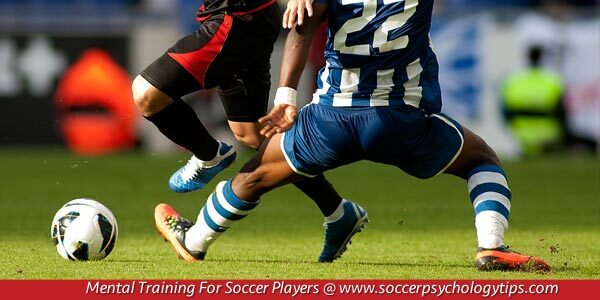 Comparisons and expectations can create a lot of pressure and hurt confidence in soccer. So how did Messi and Ronaldo stay so confident during their match up on Sunday when Madrid and Barcelona when head to head, both of them scoring two goals for the tie? Staying confident in soccer isn’t always an easy task. 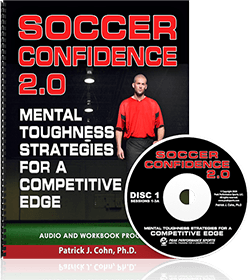 Many soccer players who have never had any mental training let doubts, immediate results, mistakes, missed opportunities, and high level competitors intimidate them and wreck their confidence. Messi and Ronaldo know exactly what to do and what not to do to stay confident under significant pressure in soccer games. They know that feeding into media hype about which of them is the best, will only hurt their game. Instead they focus on their own game a part from all the comparisons. Both Messi and Ronaldo have the confidence and mental toughness to stay composed on the field because they avoid comparisons and focus on their own strengths. Coaches and players can learn from this mindset. Training your confidence should start before you even arrive at the field. When you are prepared mentally, you are ready to play with confidence and composure, no matter who you’re up against. Staying confident against high-level competitors is just one aspect of having a strong mental game. 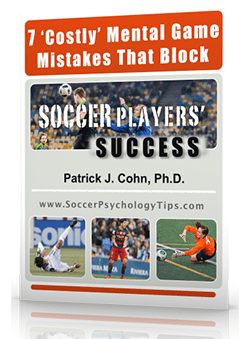 Download our free eBook titled “7 ‘Costly’ Mental Game Mistakes That Block Soccer Players’ Success” to learn more.